Detroit, faire un pas, puis un autre. 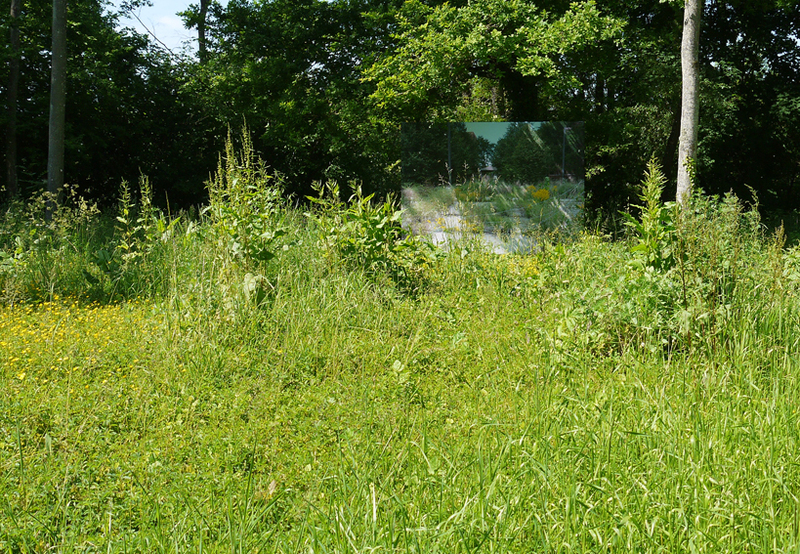 The installation of “Fugitives” in a meadow on the Tanneries location is a dynamic follow up of the image arrangement I worked on in Detroit in September 2012. 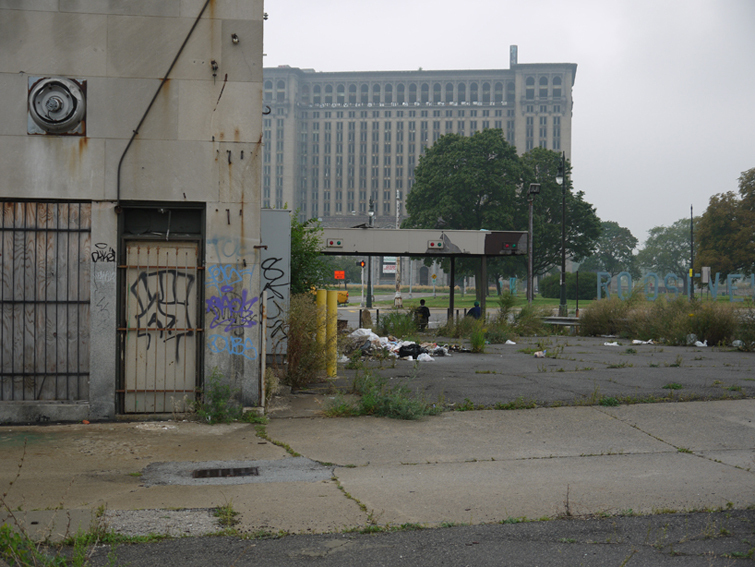 In Detroit I roamed through a territory unknown to me. I had no map, just an inner compass that would resonate with a street corner, a building, or a tree. I was exploring how my scrutiny of this drifting photographic path could rebuild something, give flesh and bones to a town. 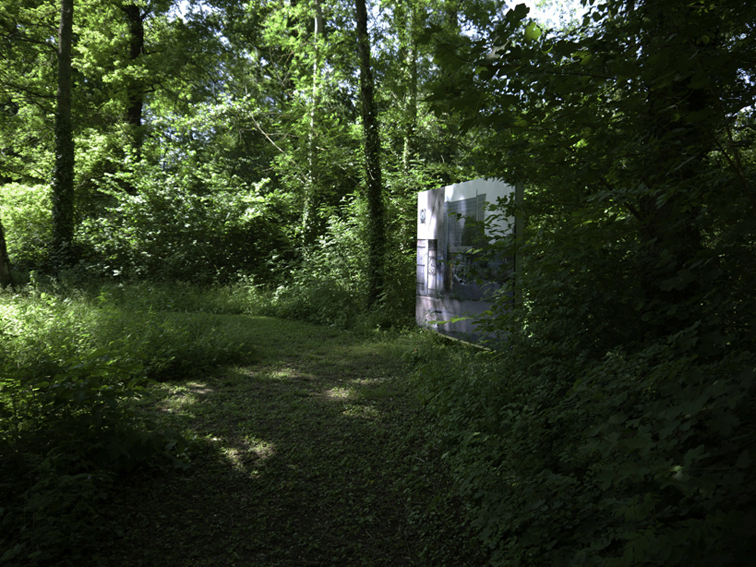 What is shown here is a fragment of this experiment. The visitor’s body, discovering and moving through the Tanneries peninsula and the images there, may experience what this could become scaled up to a whole town. 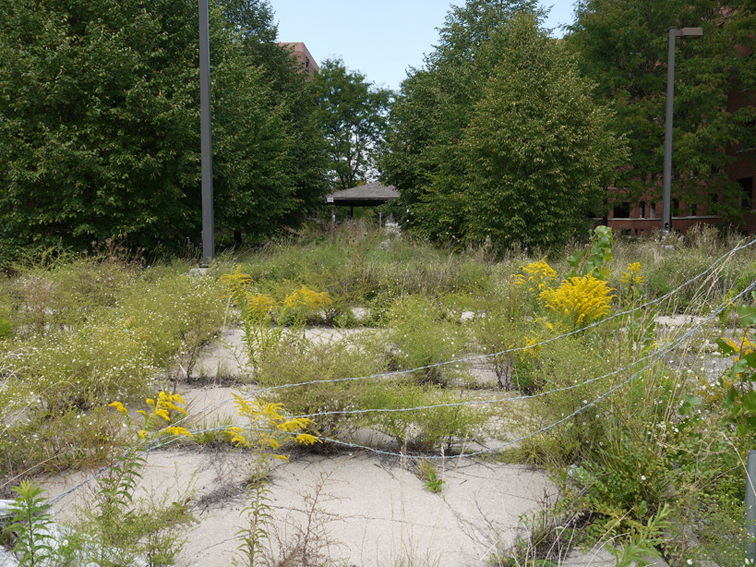 “Fugitives” is a fragment of my own visual and physical experience in Detroit.